Smartphone apps have become an increasingly important part of the mobile user experience. 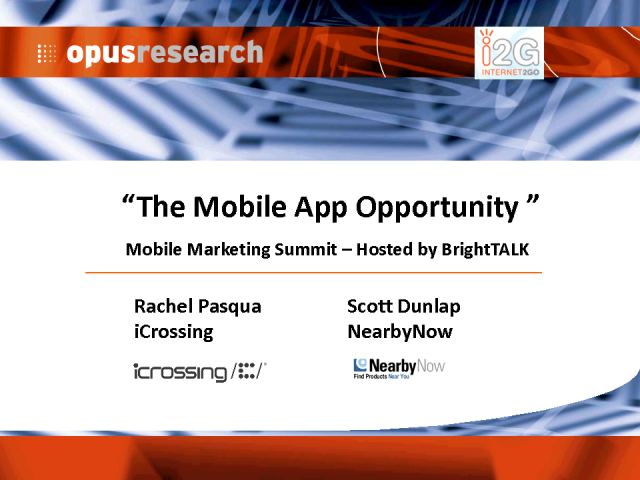 How should brands and marketers think about mobile apps as part of their overall strategies? This session will offer a survey of apps that succeed and those that miss, as well as a discussion of how traditional media are using apps effectively today.